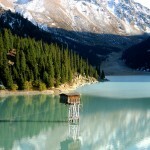 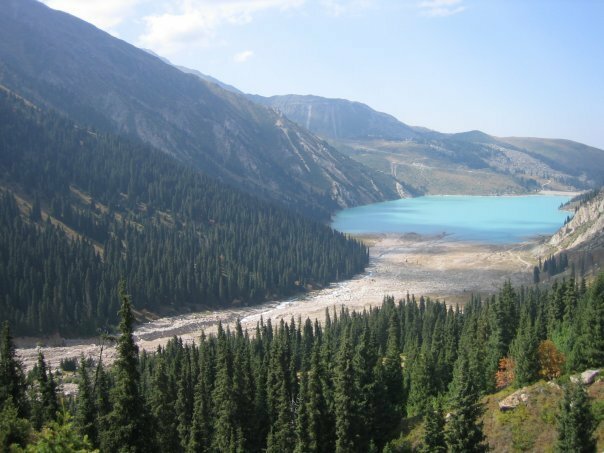 Big Almaty Lake is located 28.5km south of Almaty up a gorge of the Bolshaya Almatinka River, 2,511m above sea level. 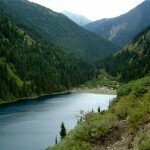 The lake is within the Alatau – Eliy National park and both the Gorge and the lake are an attraction for visitors using Almaty as their base. 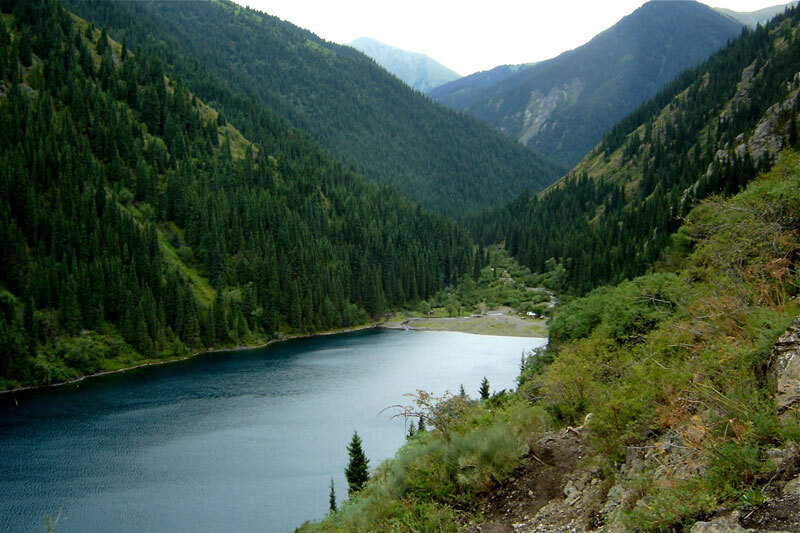 The lake is used for both hydro electric power, and the water supply for the city, but this does not detract from the magnificent mountain scenery. 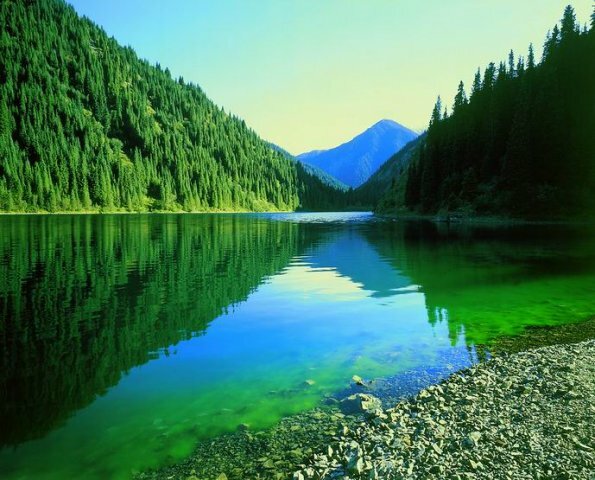 The mountains, Sovetov to the southeast, Ozyorny to the south and Turist to the southwest form a backdrop on all sides to the lake, producing some spectacular reflections, changing colour throughout the seasons. 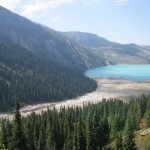 All three mountains are around the 4,000 metres high, with a glacial water running down towards the lake. 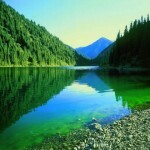 The lake itself is about 1km wide and 1.6 km long, with a depth of about 40mtrs. 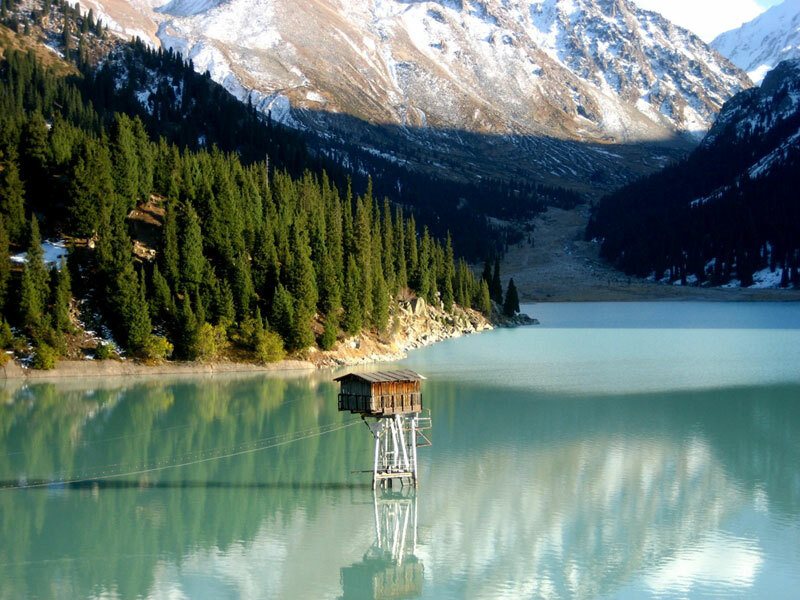 It can be accessed by road or by foot, although a bus ride to the beginning of the assent, places you directly into the scenic area.